An international bestseller and publishing phenomenon, Every House Needs a Balcony—dubbed the “Israeli Kite Runner” by The Bookseller—is the story of one family, one home, and the surprising arc of one woman’s life, from the poverty of her youth, to the glowing love and painful losses of her adult years. If you enjoy the novels of Dalia Sofer (The Septembers of Shiraz), Amos Oz (My Michael, A Tale of Love and Darkness), and A.B. 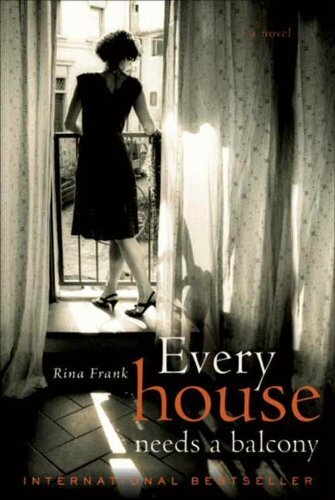 Yehoshua (Mr Mani), you’ll find much to love in Rina Frank’s beautiful and bittersweet Every House Needs a Balcony.